Mike Sonko appears to have heeded to warnings from the weatherman on heavy rains that will pound the city from late October through to December. 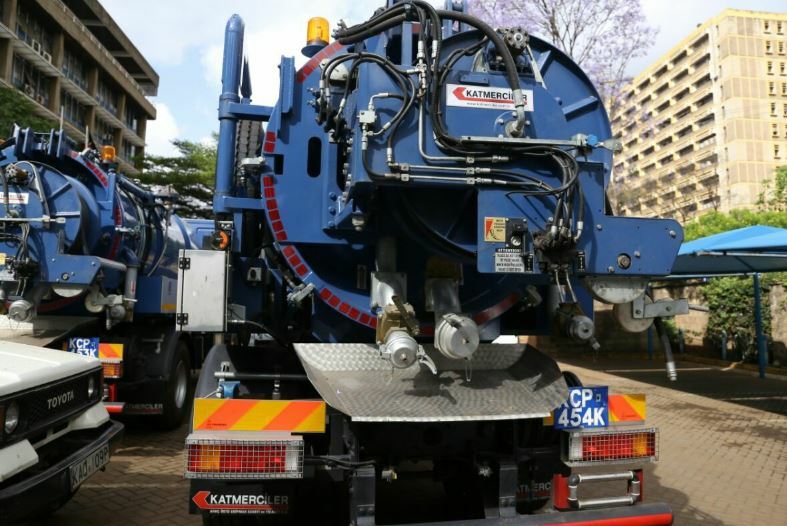 Ahead of the expected downpour, the Nairobi governor has received the solution to clogged drainage systems – sewer flushing trucks. 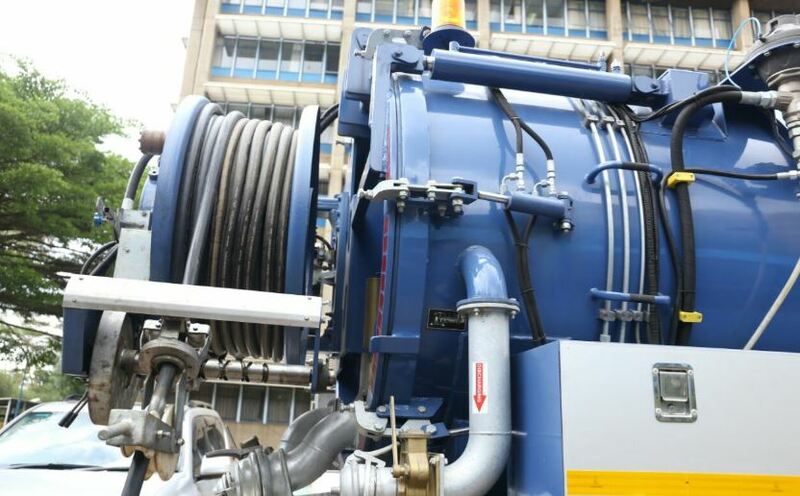 The flushing units, donated by Athi Water Services Board, were unveiled on Thursday at Maji House. According to Sonko, his administration under the Nairobi Regeneration Programme is committed to eliminating flooding in the city. 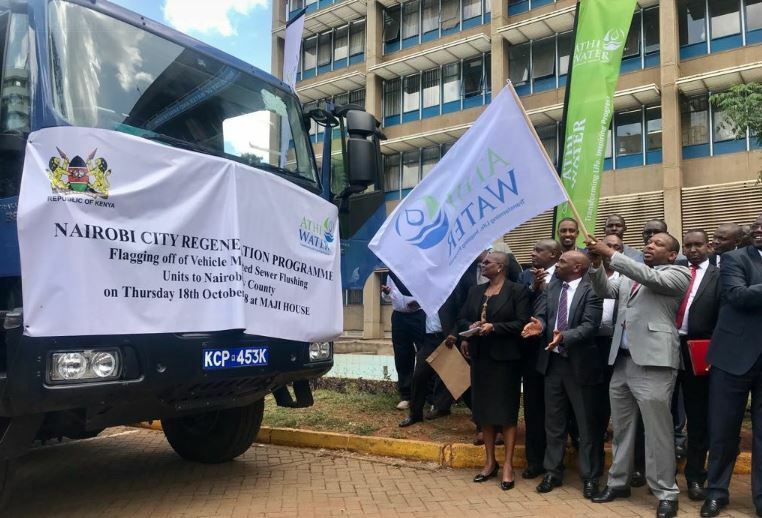 “Under the Nairobi Regeneration programme, we want to eliminate flooding in the city, mainly caused by blocked storm water drains. 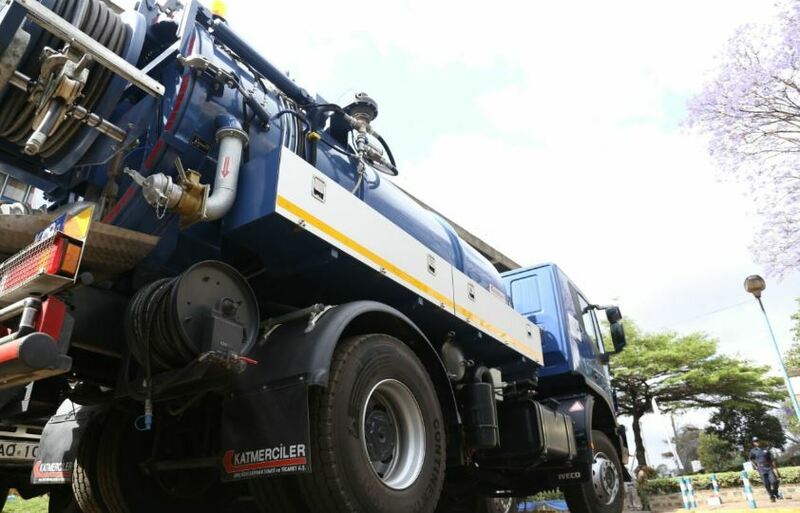 The flushing units will play a key role in ensuring success,” said Sonko. 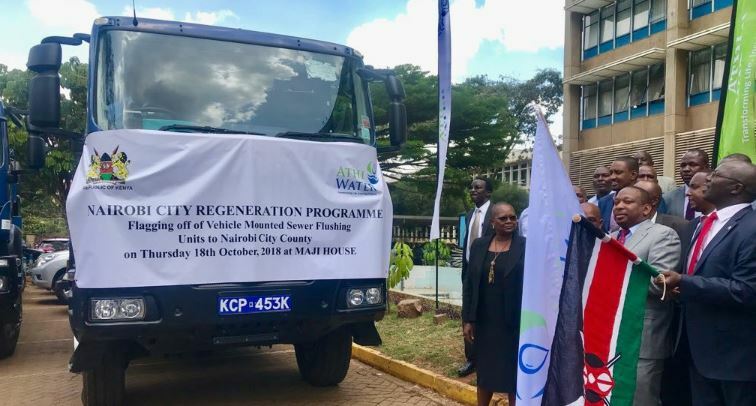 Sonko further claimed that the main causes of clogged drainages were plastic bags and construction of houses on riparian land. The units were deployed to work after the flagging off, with Sonko supervising unclogging of drainages at Gikomba market. Here’s a video and some photos.